In 1904, Alpha Kappa Psi was founded on the principles of educating its members and the public to appreciate and demand higher ideals in business and to further the individual welfare of its members during college and beyond. College men and women everywhere are discovering that Alpha Kappa Psi is much more than just another organization or club—it is a unique, prestigious association of students, professors, graduates and professionals with common interests and goals. They join Alpha Kappa Psi for the valuable educational and networking opportunities, as well as the brotherhood. Meet Tyler Ennis, a junior studying Radio/Television/Film while also pursuing a career in consulting. Along with being a brother of AKPsi, he is also heavily involved with Northwestern’s non-profit consulting club, SCNO, and the Northwestern Film Department. 1. 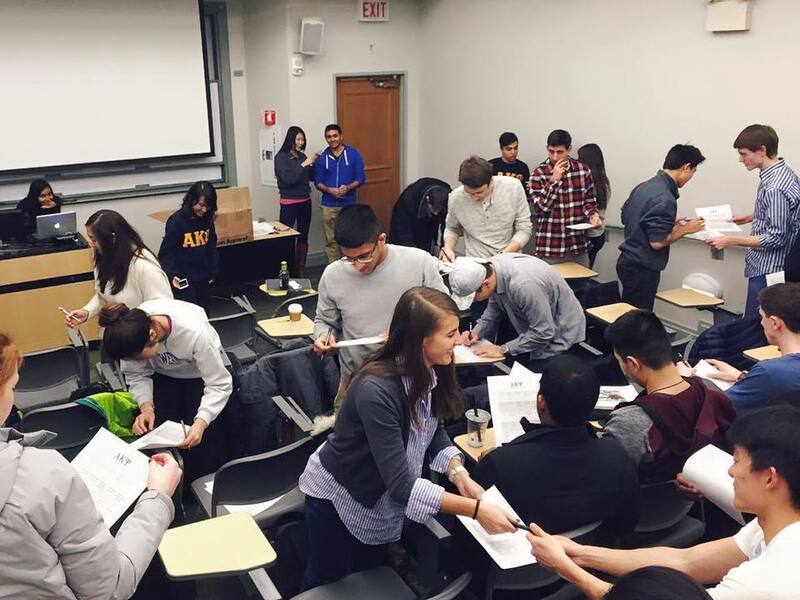 How has being in AKPsi influenced your NU career? Without AKPsi, I would have never been exposed to such driven and intelligent people so early on in my studies. The friendships I’ve made in AKPsi push me to succeed. Through introductions to certain careers or simply other opportunities to get involved on campus, I’ve gotten the footing I need to make informed decisions about my career because of AKPsi. 2. What was your favorite memory of AKPsi? The first brotherhood retreat of my freshman year! 3. What do you plan on doing after college? After college, I plan to continue working for The Boston Consulting Group in LA. I’ve enjoyed consulting so far and hope to use the skills I learn to help social business and governments address the planet’s most pressing issues like clean water, sustainable food systems, and access to education.